With AT&T helping Pantech grab a strong foothold in the US trough the smallest camera flip phone, the C300, the time has come for it to build on the promising handsets that the South Korean company has been producing for sometime. 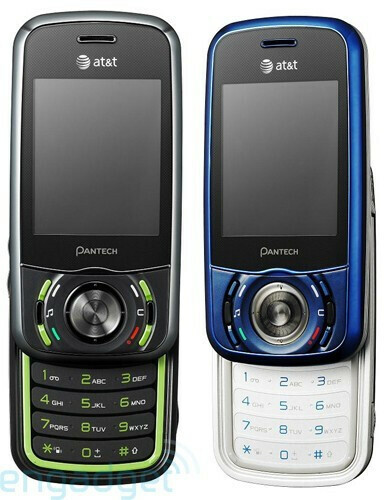 The long offered Pantech Duo will be seeing a familiar form factor joining the line up at AT&T Wireless. Pantech's Matrix is set to be launched on Thursday and will be equipped with a 1.3 megapixel camera, and supporting quad band frequencies for GSM/EDGE and dual band for 3G speeds. 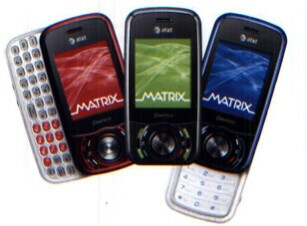 The phone is also complimented with a microSD slot, MP3 player, XM radio and AT&T Navigator. The Matrix will be available for $79.99 with a 2 year contract. Yup, most of the phones here in South Korea look pretty much like that. I WANT THIS. ill take a blue one please. AT&T is releasing a lot of texting phones. There's this, the Samsung SGH-A767, the LG Xenon, and the UTStarcom Knick. a few years ago at&t had texting phones before anyone else did.... look up the LG F9100 and F9200.... god only knows why they got rid of them, or why it took so long to get similar models back. I just got it on Friday. I personally love it the blue is slick. I'm still learning how to work it though.